Be inspired and empowered by the legend of one of Argentina’s most beloved icons – Eva Peron, or Evita, on this 3-hour private history tour of Buenos Aires. 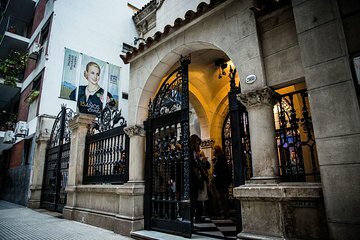 Listen to her famous speeches at the Evita Museum and learn about her early life, her rise to prominence and the Peronism political movement, fronted by her husband Juan Domingo Peron. Visit Casa Rosada where she famously addressed the people from the balcony and see the filming locations for Madonna’s 1996 movie Evita, then pay your respects at her tomb in Recoleta Cemetery. Excellent tour very informative tour guide , nice and friendly. highly recommended!! This was a great tour - we were fortunate in attending a teacher's union gathering and met someone who new Evita and lived during that time. Great experience!